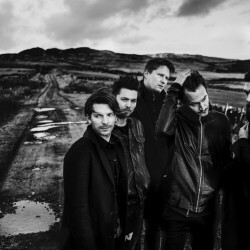 Editors are English rock band, formed in 2002 in Stafford. The band currently consists of: Tom Smith (lead vocals, guitar, piano), Russell Leetch (bass guitar, synthesizer, backing vocals), Ed Lay (drums, percussion, backing vocals), Justin Lockey (Lead guitar), and Elliott Williams (Keys, synthesizers, guitars, and backing vocals). Editors’ debut album “The Back Room” is released in 2005. It contains hits like "Munich" and "Blood". Their follow-up album “An End Has a Start” comes out in 2007 with the hit single "Smokers Outside the Hospital Doors". The band's third album, “In This Light and on This Evening”, is released in 2009. With the hit in the form of “Papillon”, a thunderous electro rock tune it cements the bands position of the genre. Next, fourth studio album, “The Weight of Your Love”, comes in 2013. It is the first to feature new members Justin Lockey and Elliott Williams. It also contains the most strident and direct Editors songs to date. With a lyrical fascination with love in all its myriad forms – it represents a new chapter for the band. They have become five and rediscovered being a band. Alongside their critical acclaim and strong worldwide success Editors consistently have sold out tours. 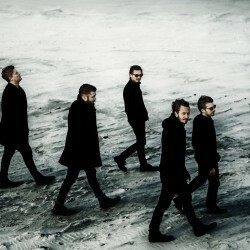 Their sound which consists of dark indie rock is their commonly known trademark. Latest release is announced on 2015. "Our new record is called In Dream, it's out in October. Our last record was the sound of us learning to walk again, with new legs! In Dream, our first self produced album, is us diving into the computer, a real studio record, made in isolation by the 5 of us. Can't wait for you all to hear it." - Tom says.